I think I'm addicted. I just got my first jet in March of 08 and I just picked up my second $700 boat. 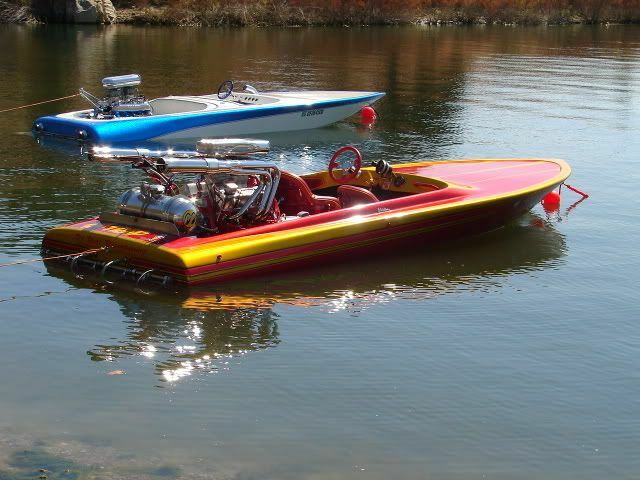 Its a 1975 Bayon 19'. If it isn't broke your not trying hard enough. A wife was selling the boat. She said he had to many project. It needs a carpet and a thurough cleaning. He told me over the phone that the block was cracked and water would leak out and into the oil. 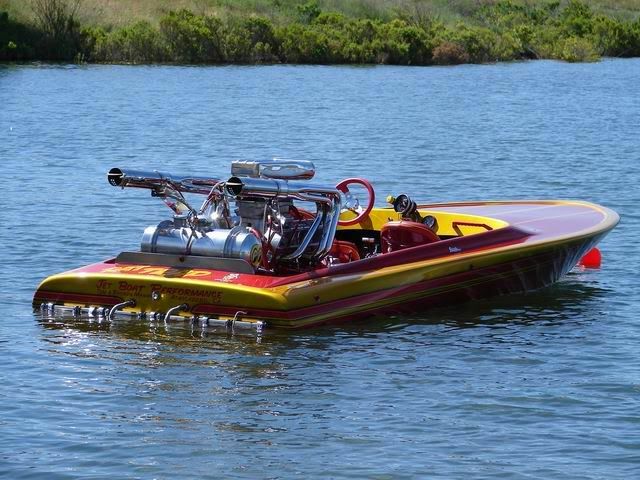 But I'm going to put in the 455 out of my other boat and deal with this engine some other time. I like the graphics on the deck, different but very cool. 1980 Southwind Dragster nearing completion. How are you going to mount a pump on that thing. Its no problem, he won't be able to get a motor running anyways..........Doh!!!! hey Sav, I thought that was one of those twin pump jobs!! Live for today, PRAY for tommorrowwwwww! Its already had a few motors in it, thay just dont stay there long enough to run . No im trying to figure out the dual pump set up, And i only have one engine. is the blue and white a 69 howard?? ?